A stark reminder of how white man’s justice is black man’s grief! High time for accountability – justice delayed is justice denied. Very witty analysis which distinguishes between resisting false profiling from breaking stereotypes, but beware the trap of nihilistic reductivism. Is this what “Muslim Female liberation” looks like? Is “breaking stereotypes” what Muslims were created for? Because as everyone knows, breaking stereotypes has always been the purpose behind human creation (according to Liberals), right? The graphic about is another hilarious argument, in comic stripe style form, by the mysterious artist “Muslim Safe Space”. Apologies in advance, but the historian of Occidental philosophy in me feels compelled to make you aware of something. The ideology of “breaking stereotypes” comes from 18th century France, from the radical faction of enlightenment thinkers, known as the “philosophes”. This is the text of a talk I gave at the Bristol Civil Justice Centre on April 15th 2019 as part of a debate entitled ‘We make unnecessary use of care proceedings’. EDIT – that line should read ‘ever increasing number of section 47 investigations’ rather than care proceedings. Various senior Judges have warned that the family justice system is close to collapse and cannot sustain this continuing increase in numbers of applications for care orders. Sometimes I wonder, in 50 years time, what aspect of the current child protection system will, with retrospection, seem incomprehensible, unethical, absurd? Most of it. Its harms to health, mental health and human well being will be evident and regrettable. This is a fairly typical exchange. So I can immediately see and understand that the easy and obvious answer to this question is ‘yes’. But, as ever, I think the answer is a more complicated than the question poses at face value. And that’s why I wanted to speak against this motion. Not because I have any naive hopes that my mere rhetoric will sway anyone from their decided view. But in the hopes that you might at least listen and think about some of what I say. All care proceedings involve failure. All care proceedings involve failure. It is a failure of at least one of the following 3 things; the very worst cases are a failure of all 3. A failure by the State to provide any sufficient safety net for parents and professionals who are struggling. A failure to provide and maintain support for those with poor housing, mental health struggles etc. A failure to provide safe working environments for professionals, allowing case loads to rise beyond what is sustainable or safe. Once the case then comes to court, The court system itself often fails to deliver what we know is needed. The procedure is often not quick, efficient or humane. This puts at risk the need to have the right decisions made on the right evidence, which in turn puts in peril the child’s need to have the right placement and the right support identified and provided. Parents are left behind at the end of it, confused, miserable and alone with no further legal support to challenge a decision they may feel is profoundly wrong. The whole system is predicated on failures. Some of those failures are a shameful indictment of the way our society operates. Other failures are simply a reflection of the inherent frailty of human beings. We could only eradicate those types of failures by going down a road of eugenics and social engineering which only a fanatical and dangerous few would ever advocate. Because a system ‘fails’ does that make it unnecessary? I would like to conduct a quick and unscientific poll. Children are vulnerable. Not all parents can be good enough parents. This isn’t about moral blame. Its about asking hard questions about what we, collectively, agree we should do to protect the most vulnerable members of our society. Who in this room thinks that children aren’t at risk of death or serious harm from their parents? Raise your hand. 31 children under 16 were killed by their parents in England and Wales in 2015 – three a month – compared with 23 in 2014. Of course, deliberate murder is thankfully rare. But who in this room thinks that the State should step in to protect only those children at risk of being murdered? Raise your hand. Who in this room thinks that the State should step in to protect only those children at risk of having their bones broken? Raise your hand. Who in this room believes that from the age, say of 0-12 years only a parent can have any authority over the education and health care received by their child? Raise your hand. Unless ALL or NONE of the hands go up in answer to the last 3 questions, then we have to accept that there is room for disagreement about exactly where the line should be drawn – but the one thing I think we would all agree with – there is a line, somewhere. EDIT – NO hands were raised. On reflection, it would have been more interesting to ask a question about the more nebulous aspects of threshold, such as emotional abuse. But it was clear that all in the room agreed that children need protection from dangerous parenting. This is reflected in many other international and domestic laws and practices. But it cuts both ways doesn’t it? If you are expecting the State to step in and defend the family as a ‘necessary basis’ of social order and ‘indispensable’ to the welfare of an entire nation, then presumably the State must have something to say about those individuals who threaten the sanctity of the family by harming members of it? McKittrick also believes that reporting has raised society’s awareness of and sensitivity to child abuse. “Our perception is that the general public have had no idea of the level of misery that these children experience, and we can’t talk about it,” she said. 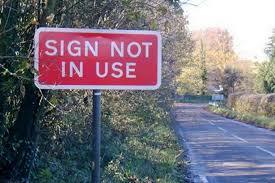 So no, I don’t believe that we make ‘unnecessary’ use of care proceedings. I do however think that the outcome of these proceedings is moving ever further away from what was hoped for by those who framed the Children Act. We have essentially betrayed the legacy of the Children Act 1989 by removing funding for the support services so essential to its proper operation. The lack of financial support for community resources [and the] the rise in [applications under] s 31, they are linked. Hence the value in reminding the audience of how the Act was meant to cover community as well as court procedures with access to services, advice and support being embraced within its composite parts . However with limited legal aid for pre proceedings advice for parents , S 20 abuses , legal aid deserts for early (any!) advice in private law , court staff / judges acting as advisors and counsellors and lack of court time as we have judges working to break point: all these deficits are crippling. Community lack of access to services and legal advice compounds an overwhelmed and overwhelming social care environment staffed by disrespected social workers , often unsupported , and inadequate managerial oversight with little joined up thinking with legal departments. I think every strand is intertwined. Hence why I thought a reminder of what we should strive at might be timely. Sarah Phillimore, a barrister at St John’s Chambers, told an audience in Bristol that she believed “the outcome of proceedings is moving ever further away from what was hoped for by those who framed the Children Act”. Quoting from a recent lecture by Professor Jo Delahunty QC commemorating the Act’s 30th birthday, Phillimore added that it was meant to cover “community as well as court procedures with access to services, advice and support being embraced within its composite parts”. But lack of community access to services and legal aid had compounded an “overwhelmed and overwhelming” environment staffed by under-resourced and under-respected social workers. “The worry from many is that we have created a voracious and possibly unstoppable ‘risk monster’,” Phillimore said of the child protection system. The debate, which was hosted by Bristol’s senior family court judge, Stephen Wildblood, sought to explore whether the system makes unnecessary use of care proceedings. Judge Wildblood noted that in Bristol, the number of cases had risen by 9% in the last 12 months alone and that court lists were “packed for months”, with his own schedule already full until the autumn. The judge added that issues raised by recent research by the chief children’s social worker Isabelle Trowler, which called for more effort and new “sophisticated interventions” to divert families from court, needed urgent exploration. He called for resources to be “poured in” to prevent the need for court proceedings, and said he was looking into establishing a charity offering therapeutic early intervention to families. The debate also heard from Clive Diaz, a former children’s social worker and independent reviewing officer, now an academic at Cardiff University. Diaz noted that when he had been practising during the New Labour years, the job, while “emotionally gruelling”, had mostly enabled him to leave work on time in order to rest and have a personal life. For many social workers that was now impossible, Diaz said, with too many decisions being taken by practitioners under extreme pressure. Services that had previously enabled a range of specific interventions in multi-agency settings were simply no longer there, he said. Diaz, who argued that significant unnecessary use of proceedings was happening, added the wider system was broken and that the evidence base for child protection conferences had not been advanced by any recent research. “They are an oppressive practice, highlighting that you are a poor parent,” he said. “Families feel eviscerated, scapegoated and blamed.” The results of a study carried out in Camden, published last week, highlighted the benefits of learning from families who had experienced child protection. He said research at Cardiff was exploring social workers’ ability to forecast the outcomes that might befall families, which early indications suggested was “no better than someone throwing a dice”. “Judges are being asked to make orders based on guesswork,” Diaz said. But Phillimore added that it was important to recognise that the polarised debate on social media and elsewhere about state intervention had got out of control, with some families in denial about the need for social workers to step in. Too often, heated arguments meant the voice of the child was lost, she said. An example of the benefit of alternative interventions was provided by Hannah Shead, chief executive at Plymouth’s Trevi House, which enables children to remain with their mothers – rather than entering care – as they detox in a residential setting. Shead told the debate that while Trevi House’s services had in years past been used as an early intervention, families these days tended to be in crisis. Too often they were only being referred by social workers from a select group of councils. Around 95% of women who stay at the unique facility complete their detox, Shead said, and six in 10 leave with their child. ‘Helen’, a mother who completed treatment at Trevi House and now supports residents, told the audience that “the fear of social services and the courts hangs over women” who too often are not offered access to services that might help them resolve their family’s problems. “We need to be able to look adults and children in the eye, even if [an intervention] does not succeed, and say, ‘We gave you the best chance’,” Shead said. Reacting to the arrest and detention in British custody of Julian Assange from the Ecuadorian embassy, UK Prime Minister Theresa May said that the arrest confirms “that no one is above the law.” This was a phrase repeated multiple times by members of her government. It is, or ought to be, a fundamental principle of a society based upon the rule of law, that this is indeed the case. If an individual, or group of individuals, transgress upon the law then they ought to be held accountable. That ought to apply regardless of that person’s status. We know of course that this is an ideal not always applied. There is ample sociological evidence to that effect. A related principle is that a person is presumed innocent until they either plead guilty or are found guilty by a court of competent jurisdiction applying the law to the standard of beyond a reasonable doubt. Whether or not Mr Assange will ever receive a fair trial is a moot point. There has been a veritable torrent of prejudicial pre-trial publicity. Even the Judge who dealt with Mr Assange’s charge of breaching his bail conditions (in respect of non-existent Swedish charges of alleged sexual assault) felt the need to describe Mr Assange as a “narcissist,” the relevance of which to a charge of breaching bail escapes me. The judge then declined sentencing jurisdiction and transferred Mr Assange to a higher court, which had the capacity to impose a 12-month sentence instead of the six months available to a lowly magistrate. Mr Assange had spent six and a half years holed up in the Ecuadorian embassy, a detention that a United Nations panel found to be arbitrary and contrary to his human rights. Again, the legal justification for transferring Mr Assange to a higher court for admittedly breaching his bail on non-existent charges escapes me. Returning to Mrs May’s triumphalist claim that no-one is above the law, her rhetoric immediately raises the question: if that is indeed true why is she and members of the government and those of governments before her not standing trial for the many and egregious breaches of international law perpetrated by successive British governments? Let us look briefly that just four examples from recent history where, if indeed the standard of “no one is above the law” truly applied, it would rapidly deplete the ranks of United Kingdom politicians, past and present. Afghanistan. In December 2001 the United States and its allies, including the United Kingdom, invaded Afghanistan, ostensibly because the Taliban Government refused to hand over Osama bin Laden, the alleged mastermind of the 9/11 attacks in New York City and Washington DC. The Taliban Government, far from refusing the United States request, asked for evidence of bin Laden’s alleged involvement in the attacks. That is after all, the basic requirement of the “rules based legal order”. That evidence was never provided. We now know that the decision to invade Afghanistan was made in July 2001, two months before the 9/11 attacks. The real reasons for the invasion and occupation of Afghanistan had more to do with the refusal of the Afghan government to give the contract for a gas pipeline from the Caspian basin to an American company, and instead of giving the contract to the Argentinian Bridas Corporation. 17 ½ years later the United States and the United Kingdom are you still there. Millions of Afghans were forced into seeking refuge across the border, principally into Iran and Pakistan. The heroin trade, much reduced under the Taliban, now flourishes under US protection. Military bases are used as black sites for torture as well is providing springboards for hybrid warfare against the former Soviet republics on Afghanistan’s border and in China’s Xinjiang province. The latter is a key element in China’s BRI that the United States is determined to oppose and undermine at every opportunity. In 2017 when an International Criminal Court prosecutor announced an intention to investigate war crimes allegedly committed by United States and Allied forces in Afghanistan, the United States reaction was to issue threats and a refusal to grant visas to ICC investigators. The May government was completely silent about this blatant attempt to obstruct justice, in itself a serious criminal offence. Iraq. In 2003 the United Kingdom was a strong supporter of the Bush regime plan to invade Iraq, which just happened to be a major oil producer. There was the usual flimflam about Iraq’s alleged violations of United Nations Security Council resolutions dating back to the 1990 Gulf war. That had as much credence as the tales of Iraq’s fabled weapons of mass destruction. Any doubt that this was anything other then a blatant regime change operation, with other goals including destroying one of Israel’s designated enemies; getting the United States a stronger foothold in the middle east; and turning over Iraq’s oil production to the major US and other western corporations; was demolished by, inter alia, Britain’s own Chilcott report. And the number of prosecutions for this illegal war of aggression that devastated a society, gave birth to the ISIS plague, killed more than 1 million civilians and made millions more refugees? Absolutely zero. Libya. After a massive propaganda campaign, nearly all of it entirely false, against Libyan leader Muammar Gadhafi, the United Nations Security Council passed resolution 1973. This resolution authorised the imposition of a no fly zone over Libyan territory and the right to use “all necessary measures” to prevent attacks on civilians. It did not authorise what NATO allies the United Kingdom and France did next, which was to apply massive military force to Libya. This resulted in the destruction of a country, which up until that point had enjoyed Africa’s highest living standard; the brutal murder of its leader without even the pretence of minimum legal standards; a massive exodus of refugees; and an ongoing Civil War in which the United Kingdom is backing longtime CIA asset General Haftar. How many United Kingdom politicians have been held accountable for these multiple breaches of international law? Again, absolutely zero. Chagos Islands. This was a uniquely British piece of international banditry, albeit on behalf of the United States who wanted a military base in the Indian Ocean. The Labour government of Harold Wilson was only too happy to oblige. The short version of the chronicle of sustained and systematic abuse of the Chagos Islanders is that Mauritius was forced to agree to the Chagos Islanders being severed from their control. The Islanders were in turn forcibly evicted from their homes under appalling circumstances. The island was then handed over to the Americans for military purposes. There is strong evidence that the island of Diego Garcia, the principal island in the Chagos Group, is also used as a ‘black site’ for illegal renditions and torture. The entire horror story is documented in the opinion of the International Court of Justice (www.icj-cij.org 25 February 2019) and an excellent summary by Craig Murray on his website (www.craigmurray.org.uk 26 March 2019). The majority opinion of the court (13:1) was that the United Kingdom was in breach of multiple legal obligations. The court rejected all of the arguments put forward by the United Kingdom to justify what it had done. The reaction of the UK government to the decision was to announce that it was going to ignore it. The reaction to the ICJ decision provides the clearest possible illustration of the gap between the rhetoric of May about no-one being above the law, and the reality daily confronted by the victims of great power machinations. Although it is probably of little comfort to Mr Assange, his experiences have helped to shed light on the brutality and ruthless disregard for the legal and moral principles reportedly held by those espousing sanctimonious claptrap in the House of Commons and elsewhere. Mr Assange is not the first victim of imperial lawlessness. He will definitely not be the last. A vital yet very sobering re-calibration of perspective. Shared. This week both Notre Dame de Paris and Al Aqsa burned. While my Facebook feed was full of concern about Notre Dame, a few of my friends, particularly those with ties to the Global South, posted about Al Aqsa. Outside of the two holy cities on the Arabian Peninsula, Al Aqsa/the Dome of the Rock is Islam’s third holiest site (at least for Sunnis). These fires presented the opportunity to opine on social media. There were many responses among which these stand out: 1) mourning or worry about a beautiful building that had a universal value; 2) calling attention to all the monuments we routinely fail to mourn; 3) calling attention to the global devastation of human life which ought to be more valuable than a building; and 4) trying to build connections between loss in one place and loss in another. Tulsi Gabbard: Website provides no positions on anything, or doesn’tsay. Has supported the Paris agreement. Tulsi Gabbard: Website provides no positions on anything, or doesn’tsay. But she has voted to fund new nukes. 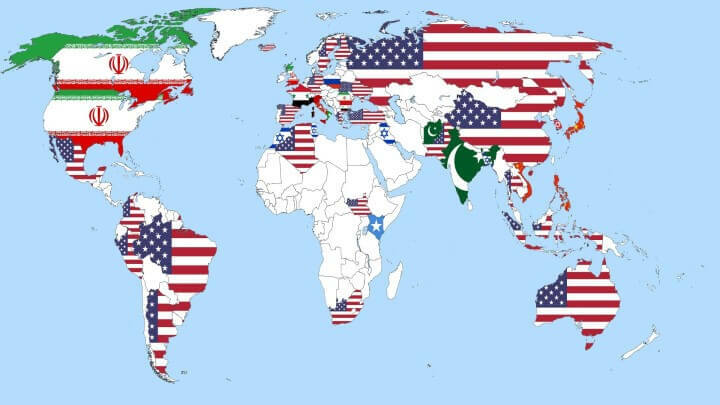 Map created by Joe HammerThe map shows the results of a 2013 (pre-Trump) WIN/Gallup International survey asking people which country they felt was the greatest threat to world peace. The US was the overwhelming choice (24% of respondents) for the country that represents the greatest threat to peace in the world today. This was followed by Pakistan (8%), China (6%), North Korea, Israel and Iran (5%). Respondents in Russia (54%), China (49%) and Bosnia (49%) were the most fearful of the US as a threat. Interestingly, Iran was seen as the biggest threat by Americans, Canadians and Brits, but Australians viewed the US as the biggest threat. 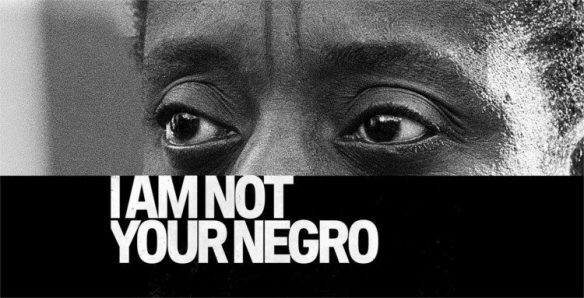 “Baldwin makes the point repeatedly that white violence against Blacks is just as prevalent in the North as the South. Speaking on the radio this morning, the Foreign Secretary refused the temptation to condemn the Legal Aid Authority’s grant of legal aid to Shamima Begum. He was right to do so. We give legal aid to those accused of murder and genocide. This is not because we have sympathy with murderers and genocidal killers but because it is overwhelmingly in the public interest that criminal trials are fair, and that people are punished only when their guilt has been fairly established in accordance with the law. Once a crime passes a certain level of seriousness, legal aid for those without the means to pay is automatic. It would be absurd if it were denied to those accused of the most serious offences, or against whom there was particularly strong evidence. Indeed, the more serious the offence and the more severe the consequences for the individual, the more important it is that legal aid should be available. Shamima Begum, has not – yet – been charged with a serious offence but the revocation of her citizenship will exile her, possibly forever. Exile has always been regarded as one of the most severe penalties that a state can impose. Just as it is in the public interest that those accused of murder receive a fair trial, so it is in the public interest that the Home Secretary’s decision is shown to be justifiable and lawful at a fair hearing. It would be alarming if the Home Secretary was able to remove citizenship from an individual without them being able to contest the matter in court. There is a court, the Special Immigration Appeals Commission (SIAC), which is charged with the scrutiny of cases of this sort. It is not as fair as one would wish for, because it sometimes sits in private, and hears evidence which is kept secret from the applicants. On the other hand it may be as fair as possible given the type of evidence it has to deal with. 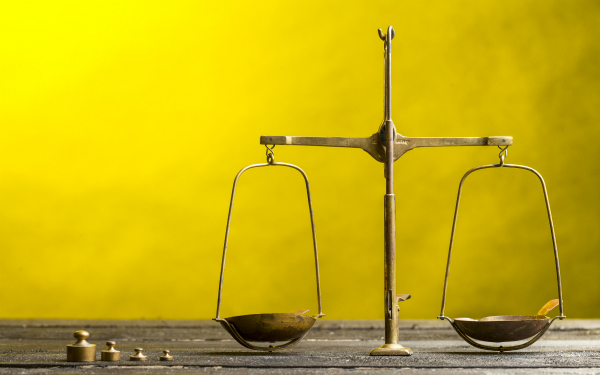 A fundamental requirement of a fair hearing in any court is that both sides are able to have equivalent legal representation: ‘equality of arms’ is how it is usually expressed. In a case with this degree of public interest the government will shell out a considerable sum of money to ensure its own Rolls-Royce legal representation. The Home Secretary will no doubt instruct Queen’s Counsel, or at least a senior and highly regarded barrister with huge experience in similar cases. They would then be briefed by the government’s legal department, which itself attracts some of the country’s finest legal brains. Without representation, a teenager with no legal training and not much formal education would be crushed under the government’s legal machine, even if she was able to get to the hearing. It would be almost laughably one-sided. In fact, though, she will not even be able to get to a hearing because the very decision she is contesting means that she is not allowed into the country. The only way of ensuring that the evidence and arguments against her are tested at all, is to let her be represented by her own lawyers. On the fairly safe assumption that she does not have the means to pay, then it is right that legal aid should be made available for this to happen. Some say that her family have paid for a solicitor so far, why should they not pay for her representation at the SIAC? The answer is that we do not require parents to pay for the legal representation of their adult children, and there is no reason to make an exception in this case. Others assert that we should not fund her legal aid because she is no longer a British citizen. Leaving aside the obvious point that non-British citizens are regularly, and rightly, granted legal aid, it is a curiously circular argument when it is the very decision to remove her citizenship that is in dispute. In the abstract almost everyone agrees that unpopular people should have access to the courts. Unfortunately, that abstract support for justice has a tendency to melt away when faced with an actual unpopular litigant. It is in the nature of things that the unpopular individuals concerned will often be unpopular for very good reasons. They may well be unpleasant and sometimes they are plain wicked. Those who should know better are then tempted to condemn, which overpowers any abstract concern they have for justice. It should not require very much imagination to foresee what will become of our liberty if the unpopular are denied access to the courts, or (which comes to much the same thing) only permitted access on terms that ensures they have no chance of success. Matthew Scott is a criminal barrister at Pump Court Chambers. 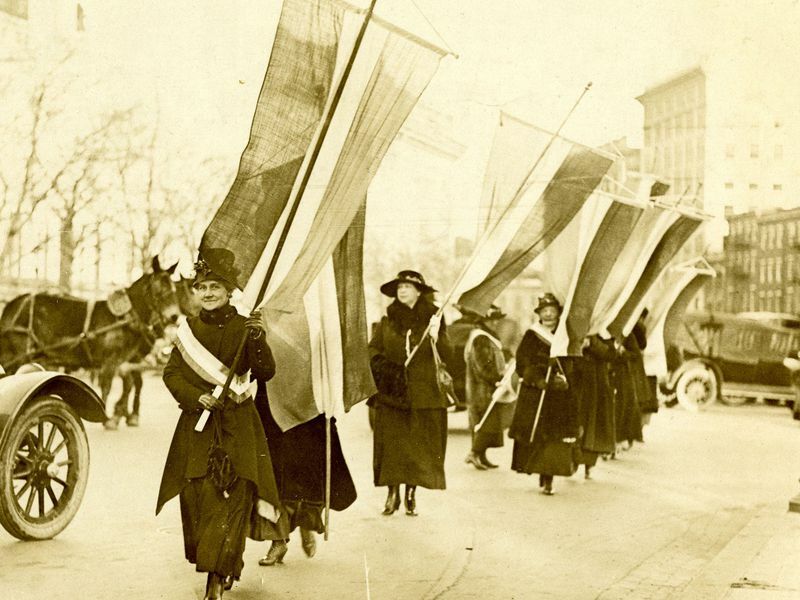 #Equality #Suffrage: Tracing the struggle of how #Women got to #Vote! Lemay chose to feature portraits of 19 African-American women. Locating those portraits wasn’t easy. Just as they were often erased from histories of the suffrage movement, black women were less frequently the subjects of formal sittings during the late 18th and early 19th centuries, Lemay says. The overall show is a bit of an anomaly for a museum not dedicated to women, Lemay says. With the exception of one woman’s husband, the exhibition doesn’t include any portraits of men. A pantheon of key suffragists hangs in the entry hallway, featuring the well-known Susan B. Anthony, Elizabeth Cady Stanton, Alice Paul and Carrie Chapman Catt, along with the lesser known activists Lucy Stone and Lucy Burns. Also present as members of this pantheon are black women, including Sojourner Truth, Mary McLeod Bethune, Ida B. Wells, Mary Church Terrell and Alice Dunbar Nelson. Bringing attention to under-recognized individuals and groups, the leading historians featured in Votes For Women: A Portrait of Persistence look at how suffragists used portraiture to promote gender equality and other feminist ideals, and how photographic portraits in particular proved to be a crucial element of women’s activism and recruitment. “One of my goals is to show how rich women’s history is and how it can be understood as American history, and not marginalized,” says Lemay. 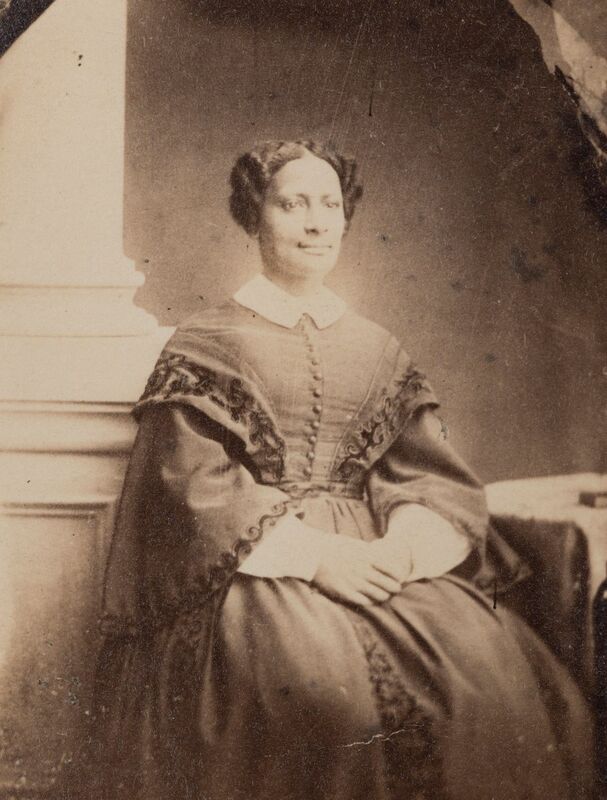 Take for example, Anna Elizabeth Dickinson, who was a highly celebrated speaker on the lecture circuit during the 1870s. 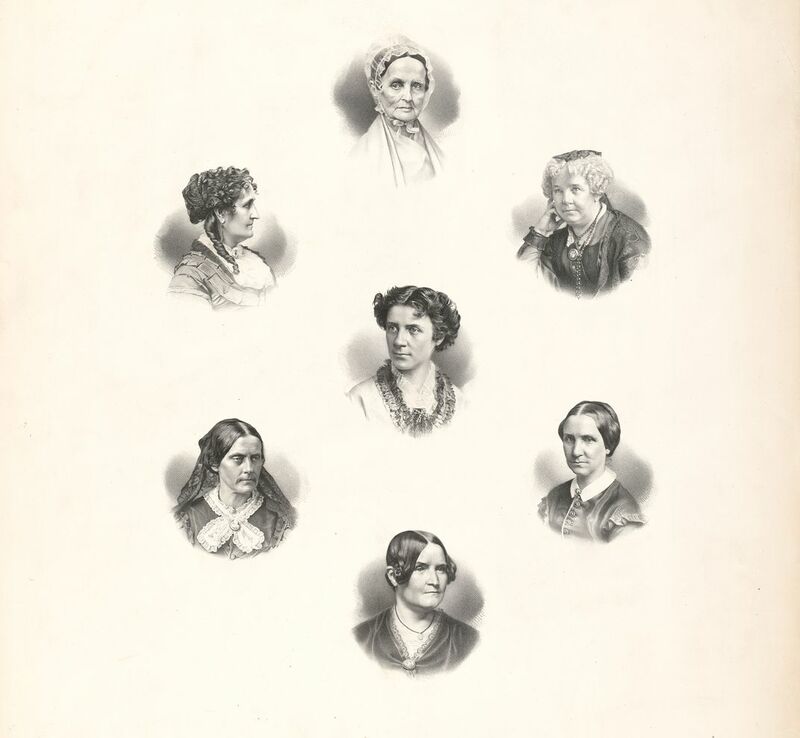 Renowned for inspiring hundreds of men and women to take up the suffragist cause, Dickinson is the center figure in an 1870 lithograph of seven prominent female lecturers, titled Representative Womenby L. Schamer. At age 18, Dickinson began giving speeches, eventually earning more than $20,000 a year for her appearances and becoming even more popular than Mark Twain. And yet, “who do you remember today?” asks Lemay. Elizabeth Cady Stanton started her activism as an ardent abolitionist. When the 1840 World’s Anti-Slavery Convention in London devolved into a heated debate about whether or not women should be allowed to participate, Stanton lost some faith in the movement. It was there that she met Lucretia Mott, a longtime women’s activist, and the two bonded. Upon their return to the United States, they were determined to convene a women’s assembly of their own. It took until 1848 for that meeting, held in Seneca Falls, New York, to come together with a few hundred attendees, including Frederick Douglass. Douglass was pivotal in getting Stanton and Mott’s 12-item Declaration of Sentiments approved by the conventioneers. Three years later, Stanton recruited a Rochester, New York, resident, Susan B. Anthony, who had been advocating for temperance and abolition, to what was then primarily a women’s rights cause. Over the next two decades, the demands for women’s rights and the rights of free men and women of color, and then, post-Civil War, of former slaves, competed for primacy. 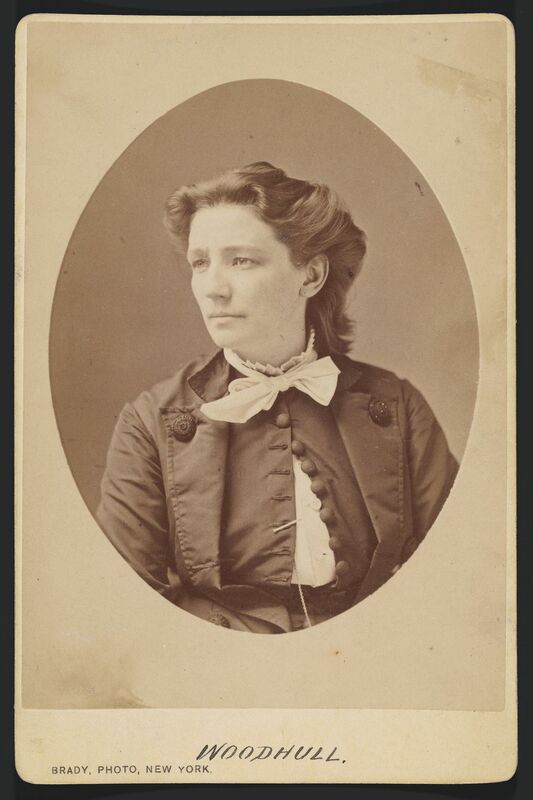 Stanton and Anthony were on the verge of being cast out of the suffragist movement, in part, because of their alliance with the radical divorcée Victoria Woodhull, the first woman to run for president, in 1872. Woodhull was a flamboyant character, elegantly captured in a portrait by the famed photographer Mathew Brady. But it was Woodhull’s advocacy of “free love”—and her public allegation that one of the abolitionist movement’s leaders, Henry Ward Beecher, was having an affair—that made her kryptonite for the suffragists, including Stanton and Anthony. Stanton and Anthony needed to re-establish their bona fides. “If they originated the movement, then it stood to reason that they were the movement,” writes Tetrault. So, according to Tetrault, they fashioned their own version of an origin story about the movement and inflated their roles. Stanton and Anthony reprinted the 1848 proceedings and circulated them widely to reinforce their own importance. With Anthony presiding over the 25th anniversary celebration, she almost by osmosis implicated herself into the founding story. “Anthony had not even been at the famed 1848 meeting in Seneca Falls. Yet newspapers and celebrants alike constantly placed her there,” writes Tetrault. Anthony herself never claimed to have been at Seneca Falls, but she became accepted as one of the founders of the suffragist movement, notes Tetrault. 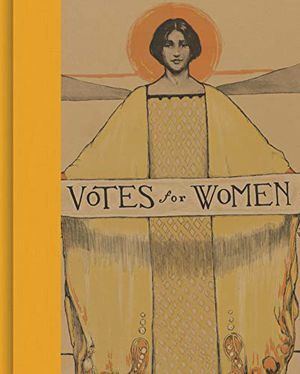 In the 1880s, the pair collaborated on the 3,000-page multi-volume History of Woman Suffrage, which furthered their own self-described iconographic places in the movement. The History left out the contributions of African-American women. Even today, Stanton and Anthony are lightning rods. New York City’s Public Design Commission in late March approved a design for a statue of the two—commemorating them as the originators—to be placed in Central Park. The statute has drawn criticism for ignoring the hundreds of other women—black, Latina, Asian and Native Americans—who contributed to the movement. The clash and upcoming schism between white and black suffragists would perhaps be previewed at an 1869 American Equal Rights Association meeting, when Stanton “decried the possibility that white women would be made into the political subordinates of black men who were ‘unwashed’ and ‘fresh from the slave plantations of the South,’” writes historian Martha S. Jones in the catalog. The damage was done, however. White women divided their efforts into the American Woman Suffrage Association, led by Lucy Stone, who advocated for universal suffrage, and the National Woman Suffrage Association, led by Anthony and Stanton. 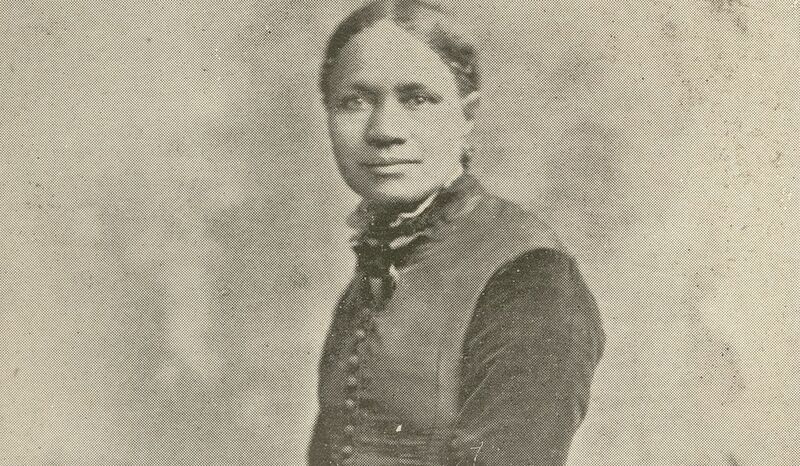 African-American women lobbied for their rights through their churches, and through women’s groups, especially in the Chicago area, where so many free men and women migrated from the oppression of the post-Reconstruction South. In the 1890s, as the Jim Crow laws took effect in the South—and lynchings gave rise to terror—black women found themselves fighting for basic human rights on multiple fronts. Seventy-three African-American women gathered in 1895 for the First National Conference of the Colored Women of America. Soon thereafter, journalist Ida B. Wells and teacher Mary Church Terrell formed the National Association of Colored Women, which became a leading women’s rights and black woman suffragist organization. Meanwhile, Stanton and Anthony saw the need to reinvigorate their efforts. They found new funding from an unlikely source, the bigoted railroad profiteer George Francis Train. “They made their bed with a known racist and then basically tainted themselves for the rest of history,” says Lemay. But, the two may have felt that they had no choice—it was take his money or let the movement die. By the time Stanton and Anthony died in 1902, and 1906, respectively, the movement over the next decade took on more urgency. Women were becoming a social force, riding bicycles, wearing pantaloons and challenging society’s normative views of how they should act. 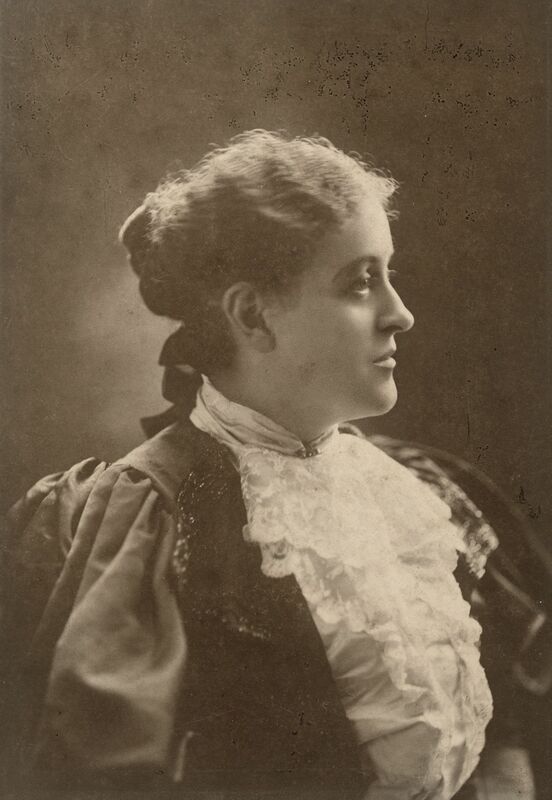 One of the first feminist writings appeared, the 1892 short story, The Yellow Wallpaper by Charlotte Perkins Stetson Gilman, delivering a tale of a woman’s slow descent into insanity, a victim of a patriarchical society. Alice Stone Blackwell, daughter of Lucy Stone, had helped to unite the National and American suffrage associations in 1890, and became one of its leaders in 1909. 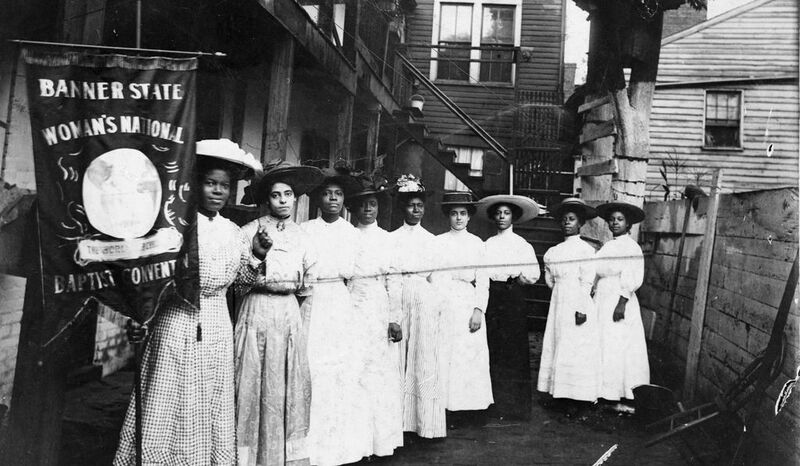 The group advanced a universal suffrage agenda and lead the way towards the passage of the 19th amendment in 1920, but the organization’s leadership positions were closed to black women. By this time, referendums in western states had gradually awarded women the vote, but in the East multiple state referenda failed, significantly in New York. Now, women looked to take national action with a Constitutional amendment. 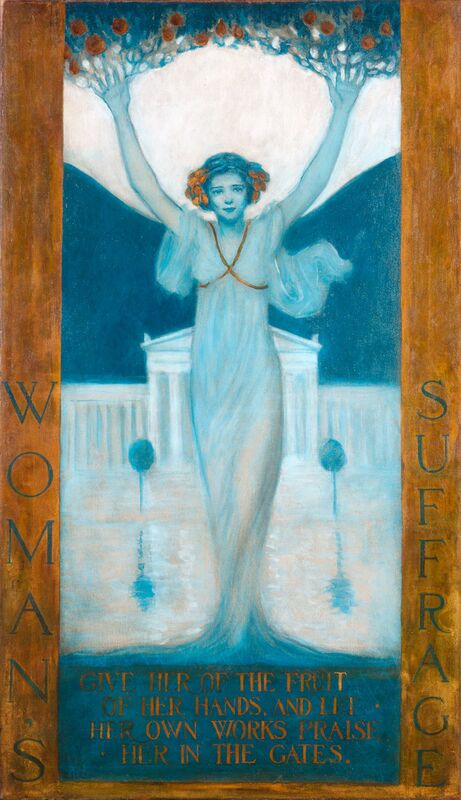 Evelyn Rumsey Cary responded with an art deco oil painting, Woman Suffrage, that became iconic. A young, gowned female figure looms over what appears to be the U.S. Supreme Court, arms upraised to become tree branches bearing fruit. In 1913, Alice Paul and Lucy Burns founded the Congressional Union for Woman Suffrage to bear down on the federal government. Paul, who had studied in England, brought the British movement’s radical tactics back to the U.S. She and Burns organized a huge march on Washington in 1913. On the day before Woodrow Wilson’s inauguration, some 5,000 women participated, while 500,000—mostly men—looked on. Many attacked the women in anger. The pageantry of the Woman Suffrage Procession—including a Joan of Arc on horseback and a gowned Columbia (the allegorical symbol of the U.S.)—garnered huge national attention. Wilson, however, was unmoved. In March 1917, Paul’s Congressional Union joined with the Women’s Party of Western Voters to create the National Woman’s Party, with the aim of a concerted campaign of civil disobedience. The White House—and by extension, Wilson—became their primary target. Women—wearing suffragist tri-colored sashes and holding banners—began picketing along the White House fence line. Action came quickly. In April 1917, just days before the U.S. entered World War I, the “Anthony Amendment”—which would give women the right to vote and was first introduced in 1878—was reintroduced in the Senate and House. Even so, the “Silent Sentinels,” as the newspapers called them, continued their protests. Questioning Wilson’s commitment to democracy at home during a time of war outraged many Americans. Anger at the suffragists hit a boiling point on July 4, 1917, when police descended on the White House sidewalk and rounded up 168 of the protesters. They were sent to a prison workhouse in Lorton, Virginia, and ordered to do hard labor. Burns, Paul, and others, however, demanded to be treated as political prisoners. They went on a hunger strike to protest their conditions; guards responded by force-feeding them, for three months. Another group of suffragists was beaten and tortured by guards. The public began to have regrets. “Increasing public pressure ultimately led to the suffragists’ unconditional release from prison,” writes Lemay. Meanwhile, during the war, women were taking on men’s roles. The National Woman Suffrage Association—hoping that women’s war-related labor would be rewarded with the vote—funded an entirely self-sufficient 100-woman-strong unit of physicians, nurses, engineers, plumbers and drivers who went to France and established several field hospitals. Some of the women received medals from the French military, but they were never recognized during the war or after by the American military. To this day, says Lemay, the only woman to be awarded the Medal of Honor is Mary Edwards Walker—and it was rescinded, but she refused to give it back. Finally, the federal suffrage amendment—the 19th Amendment—was approved in 1919 by Congress. It was then sent on to the states for ratification. That 14-month ratification battle ended when Tennessee became the 36th state to approve the amendment, in August 1920. Afterwards, a smiling Paul was captured raising a glass of champagne in front of a banner that kept track of the states ratifying the amendment. While the 100th anniversary of that achievement will be celebrated in 2020, for many women, full voting rights did not come until decades later, with the passage of the Voting Rights Act in 1965. Many states had found loopholes in the 19th Amendment that they believed allowed them to levy poll taxes or demand literacy tests from prospective voters—primarily African-Americans. Native-Americans weren’t recognized as U.S. citizens until 1924, but also have endured discrimination at the polls, as recently as the mid-term elections of 2018, Lemay points out, when North Dakota required anyone with a P.O. box or other rural address to secure a numbered street address to vote. The law disproportionately had an impact on Native-Americans on tribal lands, where the required street addresses are not used. In Puerto Rico, literate women could not vote until 1932; universal voting became law three years later. Activist Felisa Rincón de Gautier helped secure that right. “Votes for Women” recognizes some of the other suffragists who took up the cause for their people, including Zitkala-Sa, who fought for Native American citizenship rights and later founded the National Council of American Indians, and Fannie Lou Hamer, a leader in the Civil Rights movement. Patsy Takemoto Mink, the first woman of color elected to the U.S. House of Representatives, is also celebrated for her shaping of the Voting Rights Act and passage of Title IX. “Votes for Women: A Portrait of Persistence,” curated by Kate Clarke Lemay, is on view at the Smithsonian’s National Portrait Gallery through January 5, 2020.